Formulated by Jonathan Wright, M.D. 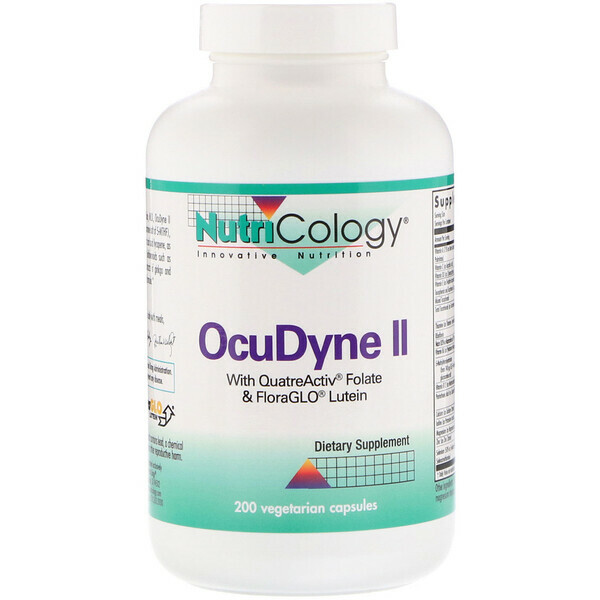 and Alan R. Gaby, M.D., OcuDyne II includes QuatreActiv Folate (Quatrefolic, the glucosamine salt of 5-MTHF), gamma-tocopherol, tocotrienols, vitamin D, alpha-lipoic acid and lycopene, as well as antioxidants, key amino acids, minerals, bioflavonoids such as quercetin, enhanced lutein and zeaxanthin, and extracts of ginkgo and bilberry. May be used as a multivitamin, multimineral formula. 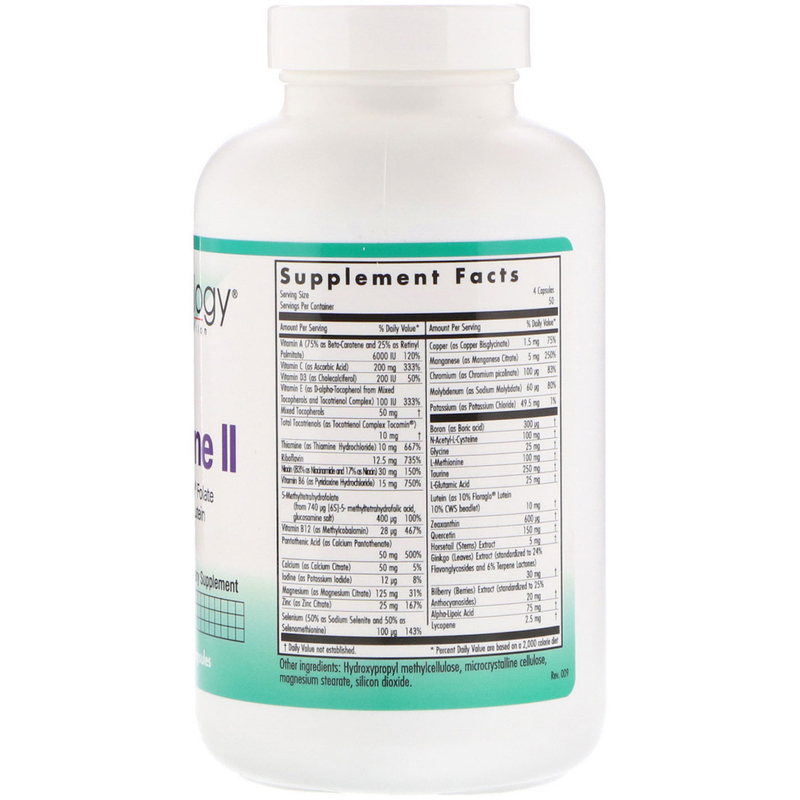 As a dietary supplement, 4 capsules one or two times daily with meals, as directed by a healthcare practitioner.